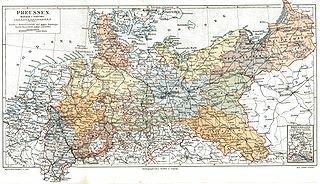 The proclamation of the German Empire, also known as the Deutsche Reichsgründung, took place in January 1871 after the joint victory of the German states in the Franco-Prussian War. 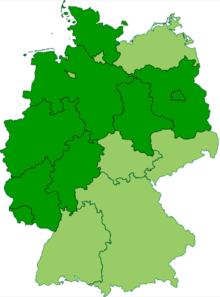 As a result of the November Treaties of 1870s, the southern German states of Baden, Hesse-Darmstadt, with their territories south of the Main line, Württemberg and Bavaria, joined the Prussian-dominated "German Confederation" on 1 January 1871. 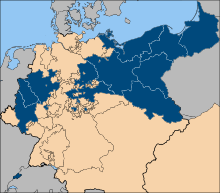 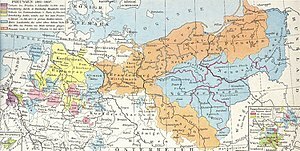 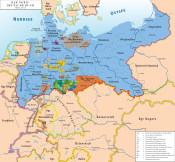 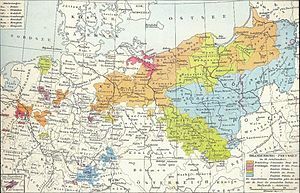 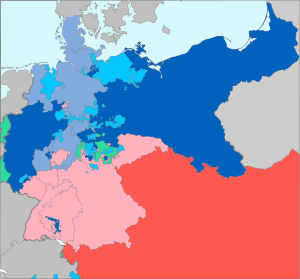 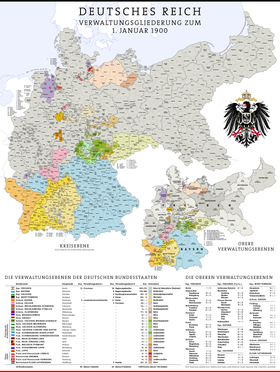 On the same day, the new Constitution of the German Confederation came into force, thereby significantly extending the federal German lands to the newly created German Empire. 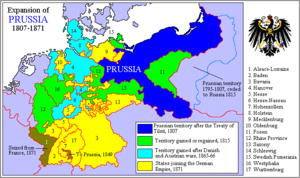 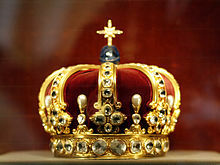 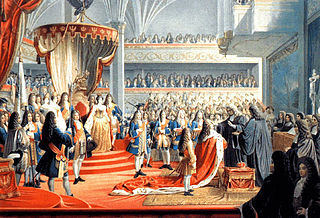 The Day of the founding of the German Empire, January 18, became a day of celebration, marking when the Prussian King William I was proclaimed German Emperor in Versailles.